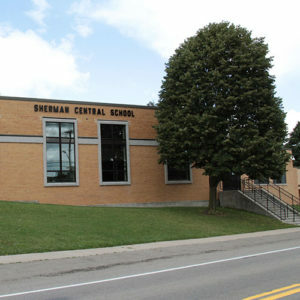 The Office of Special Education at Sherman Central School aims to provide an appropriate educational program in the least restrictive environment for all students found to have a disability. A range of supports and services are available for students to foster their success. Examples of Special Education support are: Consultant Teacher, Resource Room, Special Class, Speech Therapy, Occupational Therapy, Physical Therapy, and Counseling along with program modifications and testing accommodations.